Waymo One is ready to take riders where they need to go. The world’s most experienced driver is ready to take riders where they need to go. In 2009, Google launched a project to explore self-driving technology. On Wednesday, the company that grew from that effort, Waymo, launched a project of its own: Waymo One, a commercial self-driving car service powered by tech with more than 10 million miles’ worth of experience navigating public roads. According to Waymo, Waymo One will launch in Metro Phoenix, Arizona, before rolling out more widely. Waymo will give riders already involved in its research program in the area access to an app that appears to function a lot like Uber or Lyft. Once a person requests a ride via the app, they’ll see a price quote and estimated pick-up and drop-off times. If they choose to move forward with the ride, a Waymo vehicle will drive itself to pick up the rider, who can bring with them up to two other adults and one child. 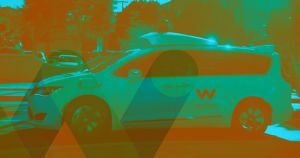 At first, a human will be in the driver’s seat of the vehicle, but they aren’t necessarily there for safety reasons — according to Waymo, the human is “riding along to supervise our vehicles for riders’ comfort and convenience.” Basically, Waymo is putting a human behind the wheel to give these first riders peace of mind. Waymo is one of the biggest players in the self-driving car industry, so the launch of Waymo One is a huge step forward for the tech as a whole. And even though the service is currently limited to just one region and only a specific segment of the population, Waymo One offers us a glimpse of what’s to come: a future in which our roads are safer thanks to highly experienced, non-human drivers.